In 2004, Dr. Rosaria Haugland established the Rosaria Haugland Graduate Research Fellowship Fund in Chemistry. This fund, which supports the first graduate research fellowship ever given by the UO Chemistry Department, provides a three-year, full graduate fellowship and tuition award to an outstanding student in the department. It is also the first fully funded private fellowship in any of the sciences at the University of Oregon. Dr. Haugland was born in Milan, Italy. She earned her doctoral degree in biology from the University of Milan, and a doctoral degree in biochemistry from Syracuse University in New York. She spent the first part of her career as a research scientist at several institutions – Italy’s Farmitalia Research Institute, the State University of New York Upstate Medical Center, the University of California at Berkeley, and Baylor University in Texas. In 1975, she and her husband Richard cofounded a biotech company, Molecular Probes, in Eugene, Oregon. Molecular Probes grew to become the leading provider of fluorescence reagents for scientific and biomedical research. After her retirement and the sale of the company, Dr. Haugland began to devote her time and energy to philanthropic causes. 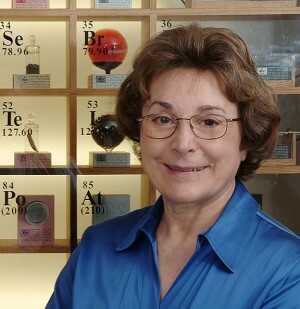 Her establishment of the fellowship fund was a decisive step forward in strengthening the UO Chemistry Department graduate program. It is Dr. Haugland’s desire that the award be used to support and recognize individuals from groups that have not traditionally participated in the sciences, and for whom the award will provide significant support. In particular, it is her preference that women, when possible, receive strong consideration for the award. The intent is to fund the Rosaria Haugland Graduate Research Fellowship Award in Chemistry every three years, with the hope of being able to do so in perpetuity. The first Rosaria Haugland Graduate Research Fellowship was awarded in 2004 to Takiya Ahmed, in the David Tyler lab.